Buy this fun app for Christmas or on any other day of the year and let your child be able to email Santa Claus, anytime. If you want to know what your child wants for Christmas download this app. 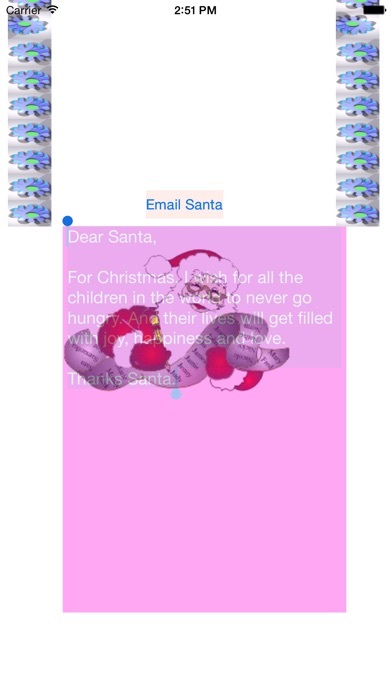 Let your child email Santa, and as we all know who Santa really is. Use this app throughout the year and not just on Christmas to know what's really on your child's mind. - critical bug fix, sorry for the incovenience.